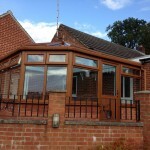 A short while ago we were contacted by a builder of whom we have done work for in the past. 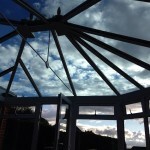 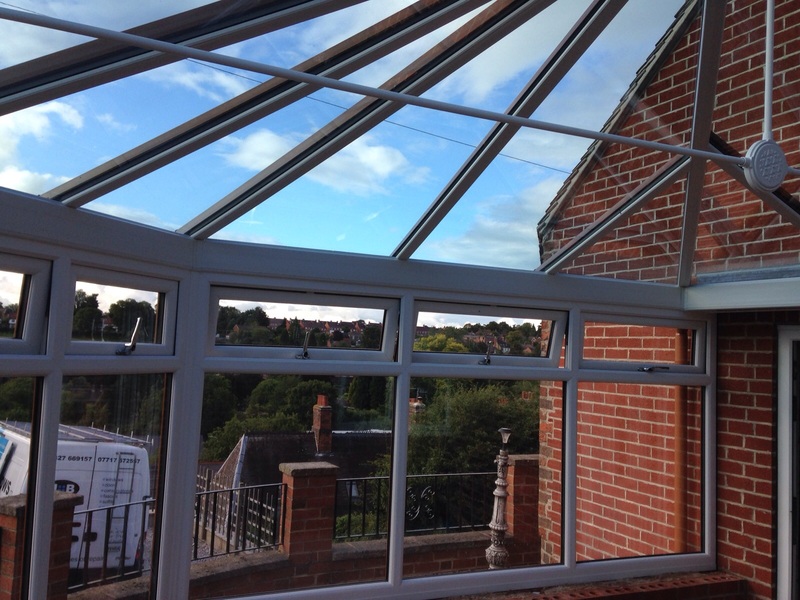 He had started to build a conservatory base for a customer and wanted us to quote for the upvc side of things. 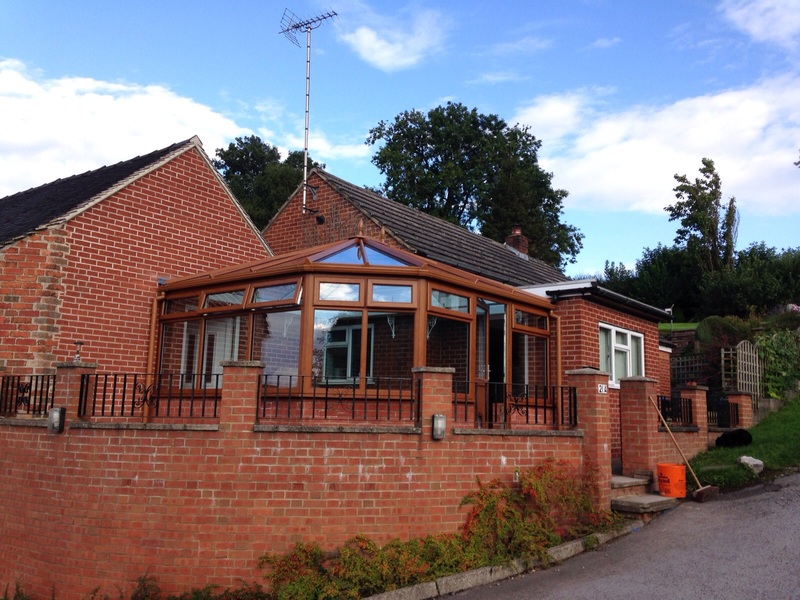 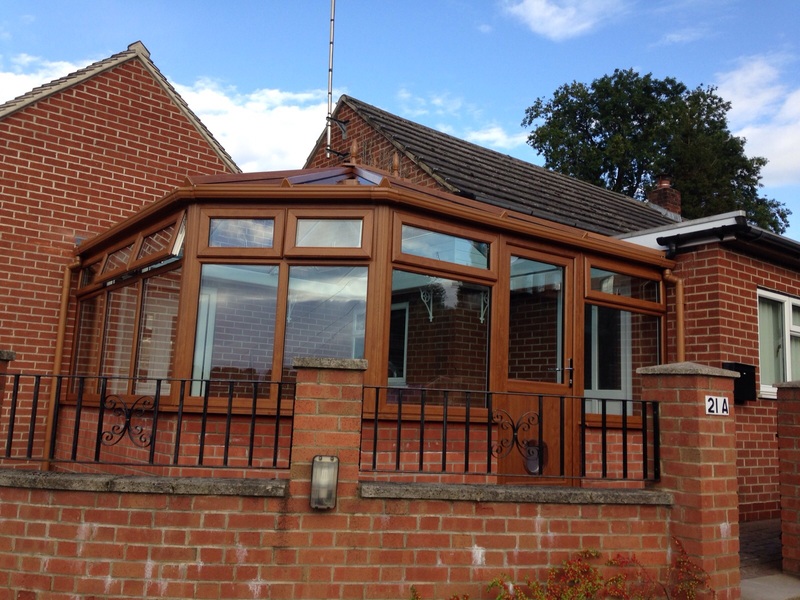 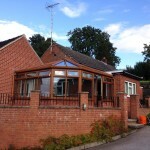 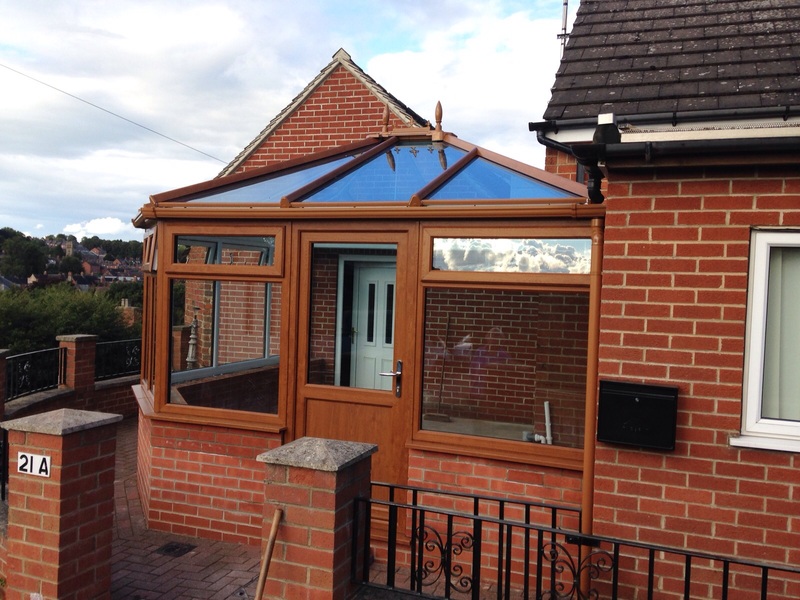 Due to the shape of the existing bungalow it required a very specific roof to get the conservatory to work. 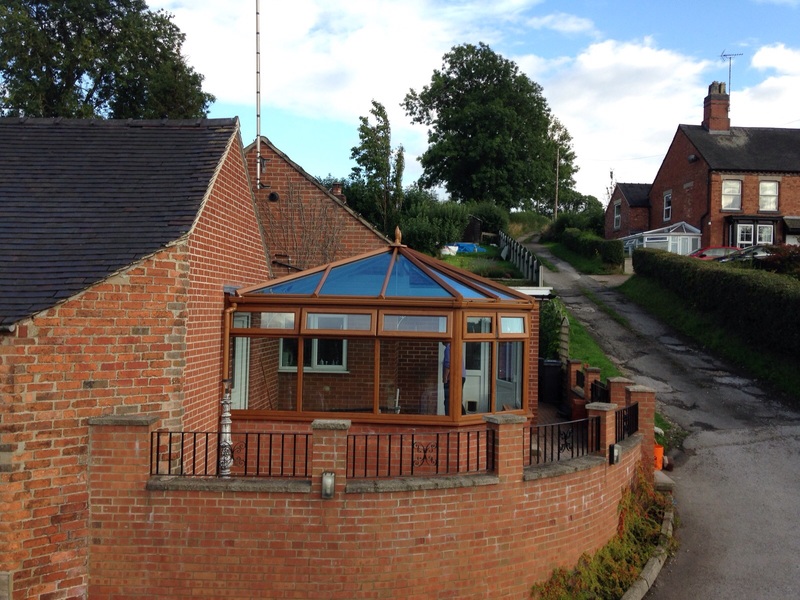 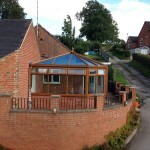 Also the customer wanted an active blue glass roof which made things slightly more awkward. 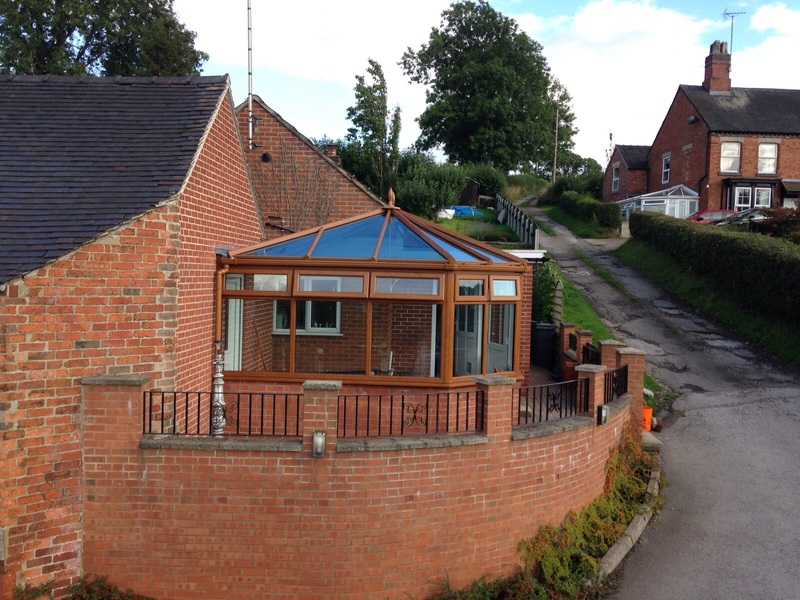 Not only was it an awkward shape house, every existing wall was out of square. 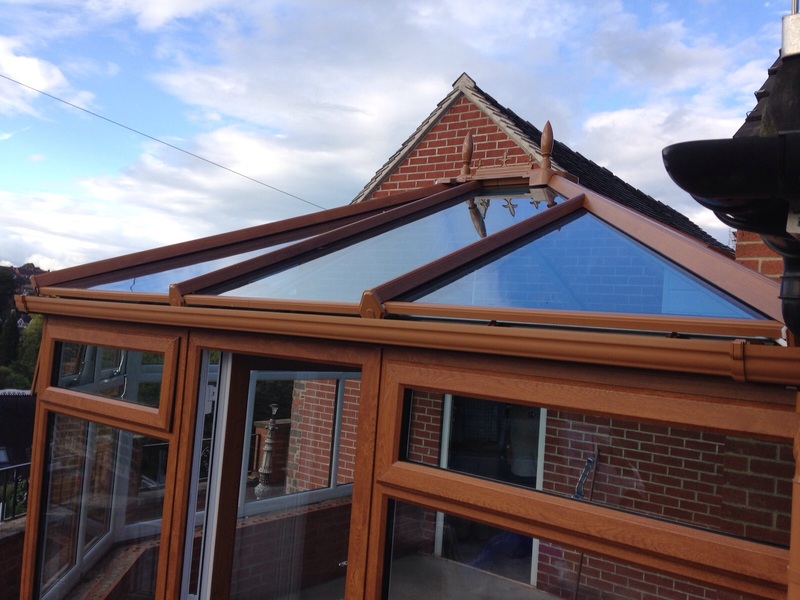 This makes it very difficult to make the roof work, as it all has to go up square, otherwise there’s no way the glass could be made to fit. 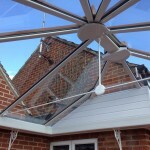 We quoted the job and got confirmation that they were happy for us to go ahead and install it for them. 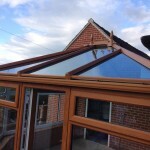 Due to the design of the roof and the shape of the existing house walls on the bungalow, we decided to manufacture the roof on site and then order the roof glass once everything had gone to schedule. 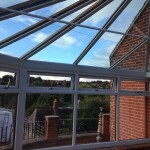 After a couple of weeks we had the conservatory finished. 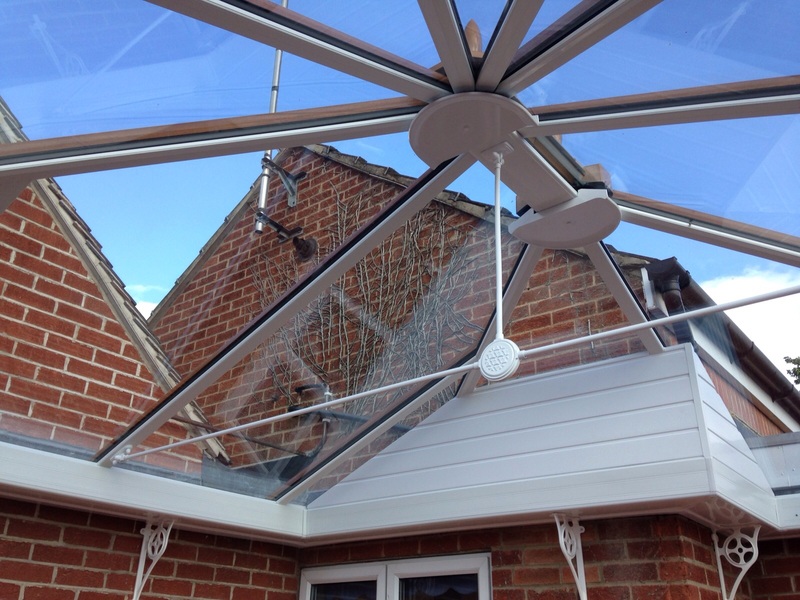 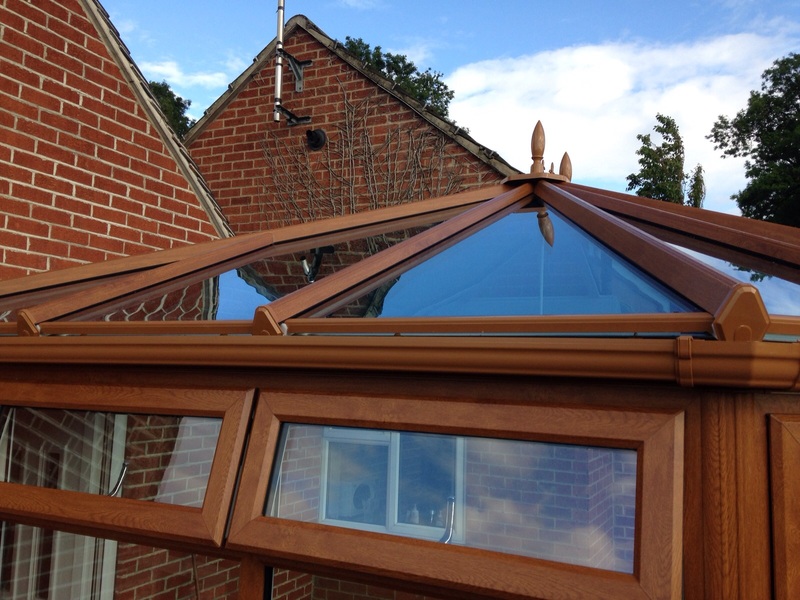 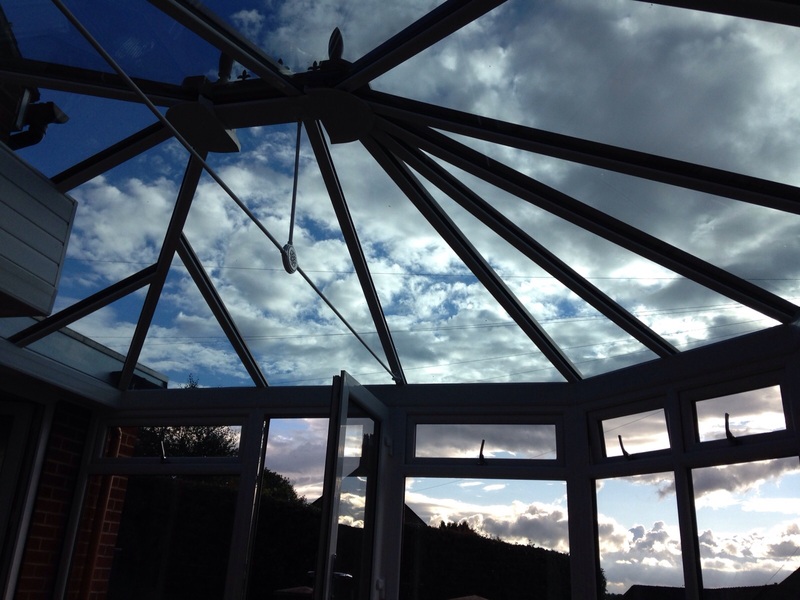 It was certainly not your standard conservatory, which took a lot of patience and expertise to get it right but this is the kind of thing we enjoy doing. 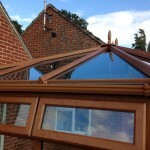 Seeing the finished article is a very satisfying feeling after all the hard work that was put into it. 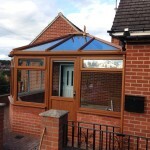 Here are some photos of the finished conservatory. 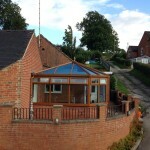 If you are thinking of getting a quote for a conservatory in Derby or the surrounding areas then why not give J&B Windows a try.